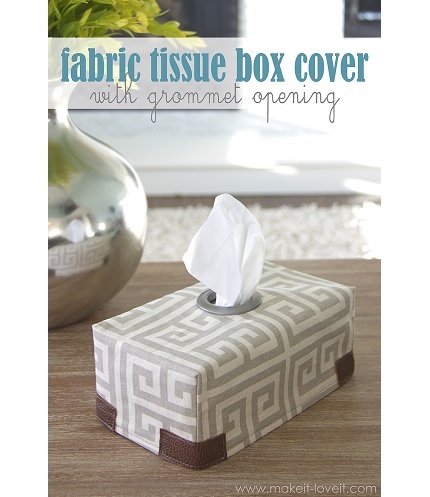 A jumbo grommet serves as the opening on this fabric tissue box cover. Ashley from Make It and Love It shows you can make one. It’s made from a home dec weight fabric, and fits over a standard full size tissue box. Faux leather strips make cool corner accents, and the jumbo grommet is a quick and sleek way to finish the hole where the tissue comes through. Go to Make It and Love It to get the tute.